An auto accident can instantly change your life. You may not be able to work. Even worse, you might not be able to walk. Even every day, routine tasks that a lot of us take for granted may be something you’re no longer able to do. And what’s worse on top of that? Bills that begin to pile up because you can’t work. Medical expenses beyond what your insurance company will cover. Car repairs—or even a car replacement—because your vehicle got damaged or totaled. Unfortunately, this isn’t even counting the bills that you pay on a regular monthly basis. 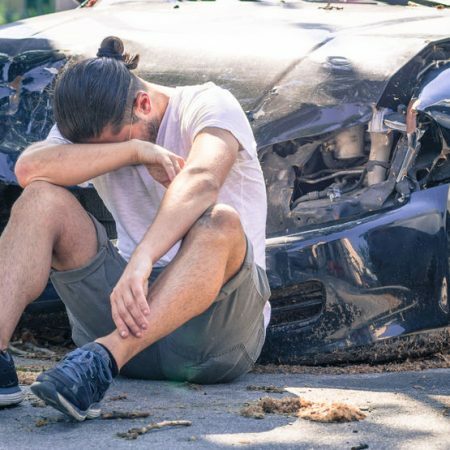 In short, an auto accident can change your life for the worse. This is regardless of how responsible of a driver you may be. Reckless drivers can still do catastrophic damage to your life. Afterward, you’re left wondering what to do. You know this situation is not your fault. You need to be reimbursed; compensated for your untimely losses. You have rights. And that’s why you need to call the Westcott Law Group. When you choose the Westcott Law Group to represent you as your auto accident attorney, you’re getting a legal team that is dedicated to helping you. While you focus on your recovery, the Westcott Law Group will be taking care of what’s necessary so you can take appropriate legal action. However, you cannot delay—contact us immediately about your case so we can quickly gather evidence to support your claim. Often times, the insurance company will refuse to pay the full value of your claim. For sure, they will make you a settlement offer. But do you really want to settle when you’re entitled to more? After all, the settlement from the insurance company doesn’t come close to covering your losses. So how does the Westcott Law Group help auto accident victims? First, we investigate your auto accident. We actively seek evidence for negligence on the part of the other driver that, as a result, caused your crash and your subsequent injuries. The Westcott Law Group knows how to craft together a strong case and bring insurance companies to the table to offer a much more favorable settlement. No favorable settlement? Try to place the blame on you? No problem. We’ll see them in court. We’re not afraid of the insurance company, and we know what it takes to win. You can be entitled to significant damages. Some of these may include lost wages, current and future medical expenses, mental anguish, pain and suffering, disfigurement, and property damage. Contact the Westcott Law Group today at (832) 831-1412 for your consultation by phone about your auto accident. No two accidents are the same—that’s why you get our personal attention. We want to secure the best possible outcome for your case. Your initial consultation by phone is free.